Roger Federer will challenge Dominic Thiem on Saturday for a place in the final of the Brisbane International. It will be a first-time meeting for the duo. 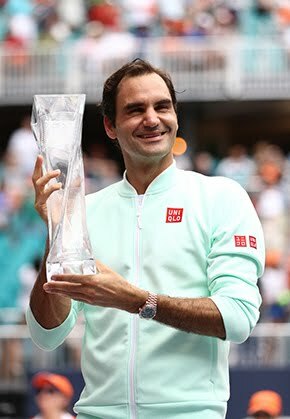 Top seed and defending champion Federer, vying to capture his 89th tour-level title this week, worked hard to beat Grigor Dimitrov 6-4, 6-7(4), 6-4 on Friday night. The Swiss is now 4-0 lifetime against Dimitrov, including a victory in last year's Brisbane semi-finals. Federer converted his third set point opportunity to clinch the 36-minute opener. Dimitrov survived two break points in the sixth game of the second set, then broke Federer to 15 en route to a 5-3 lead. 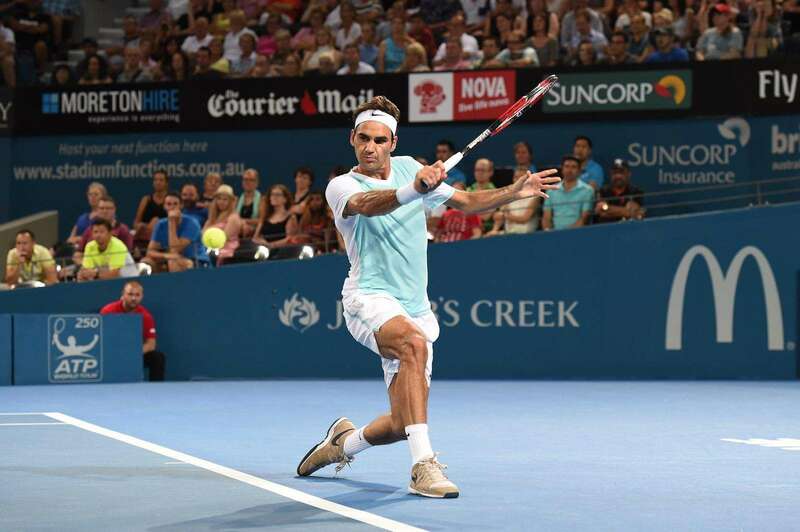 Federer bounced back prior to a tie-break, which saw Dimitrov win five of the first six points. From 2-2 in the deciding set, Federer won two straight games but could not clinch any of his three match point chances on Dimitrov's serve at 3-5, 0/40. Dimitrov won five straight points, before Federer closed out to love for victory in two hours and eight minutes. Federer won 27 of 35 points at the net. "I thought I played really well considering, and caught sort of a second wind in the third set," said Federer. "I had to focus hard, so I thought I was able to relax again midway or at the beginning of the third at some stage, and the break came at the right time, so that was good. I thought he served actually very well. I took advantage of the fact of getting maybe too many second serves in the third." 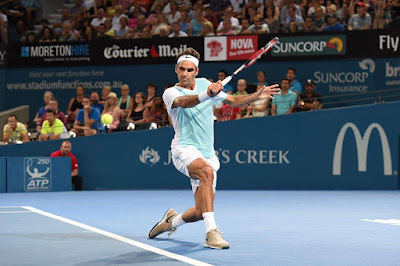 Federer overcame the effects of a recent illness and conceded he was not 100 per cent during the match. "It was tough in a way. The body is not quite ready, you know, physically it was difficult. So it's good to get through it without any issues," he said. Earlier in the evening, eighth seed Thiem knocked out third seed Marin Cilic 2-6, 7-6(4), 6-4 in two hours. Thiem finished last year as the youngest player (22) in the Top 20 ATP Rankings at No. 20. He was also the first Austrian to place in the Top 20 since Jurgen Melzer (at No. 11) in 2010. 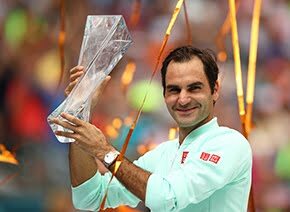 Looking ahead to his match against Thiem, Federer said, "I was very impressed with what I saw. I think he's got a great big backhand. Maybe likes slower courts, like to set up his shots. I guess you've got to take time away from a him. Like a Stan version in some ways if you compare him to one the top guys. He likes to play from far, but he's making a nice effort trying to play on the baseline as well. He uses a lot of spin as well on his serve. We'll see how it goes tomorrow. "I thought it was a good win for him to beat Cilic today, because Cilic was looking good for a while there and these are the matches the young guys have got to win to take it to the next level, and that’s exactly what he’s doing."